When Gordon Jack, the author of Fifties Jazz Talk: An Oral Retrospective and frequent contributor to Jazz periodicals such as JazzJournal “dropped by” the JazzProfiles editorial offices with an offer to post the following feature about one of our favorite Jazz musicians, how could we refuse? 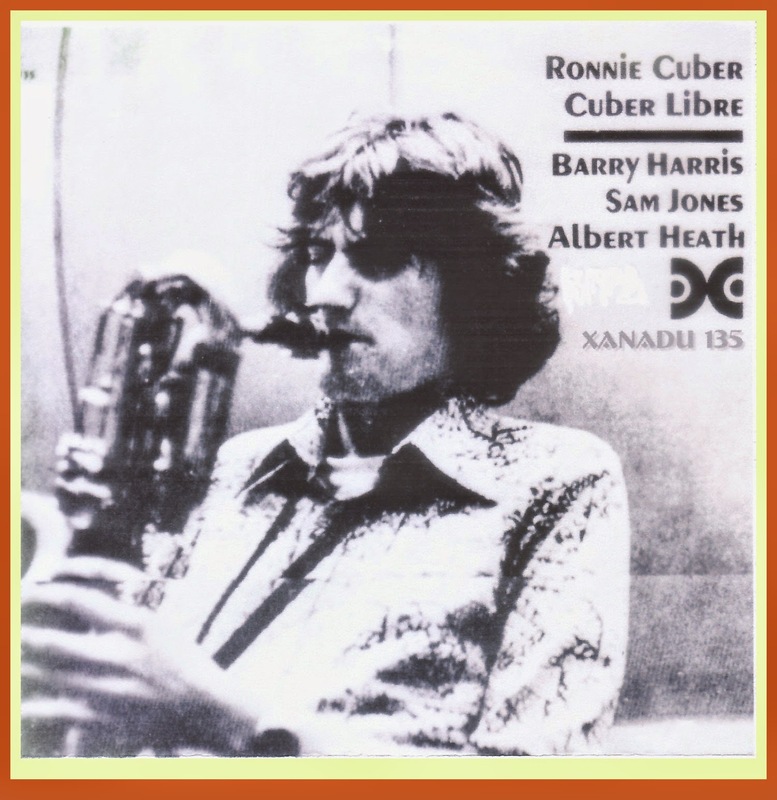 Baritone saxophonist Ronnie Cuber is one of the most emphatic and constant take-no-prisoners improvisers in all of Jazz and, like another of our enduring heroes, Phil Woods, he seems to take every opportunity to create powerful and passionate solos, whatever the context. Gordon’s piece on Ronnie first appeared in the March 2014 edition of JazzJournal and you can locate more information about the magazine by going here. “Like many specialists on the instrument the baritone was not Ronnie Cuber’s initial choice from the saxophone family. Performers like Sahib Shihab, Lars Gullin, Cecil Payne, Leo Parker and Gary Smulyan are just a few who began with a brief dalliance on the alto before making the switch to the larger horn but Cuber’s musical odyssey was a little different. Born on the 25th, December 1941 into a musical family he began on clarinet before changing to the tenor in high school which he continued studying at the Brooklyn Conservatory of Music. He took up the baritone almost by accident when he tried out for Marshall Brown’s Newport Youth Band in 1959. At the audition he played Hank Mobley’s four choruses from his 1956 Prince Albert solo which really impressed Brown. Unfortunately there was already a surplus of tenors so Brown bought him a baritone at Ponte’s Music Store near Times Square - long since closed. That generosity allowed him to join the band which included Eddie Gomez, Nat Pavone and Michael Abene. During his formative years in the ‘50s he had collected recordings of the major hard bop artists like Hank Mobley, Sonny Rollins John Coltrane and Pepper Adams. Inevitably Adams became a strong baritone influence but it was not too long before he found his own unique voice with perhaps more than a little bow to Sonny Rollins and Eddie ‘Lockjaw’ Davis. John Hammond who was Columbia’s Director of Talent Acquisition heard them one evening at the Palm Tavern in Harlem. Thoroughly impressed he arranged two recordings for the label in 1966 – The George Benson Cookbook (Columbia CK 52977) and It’s Uptown (Columbia CK 52976). Cuber is clearly in his element performing Benson’s down-home, blues-based repertoire which also includes staples like All Of Me, Willow Weep For Me and A Foggy Day. Incidentally, at this early stage of his career it is noticeable how close Benson gets to the sanctified vocal sound of Stevie Wonder. Ronnie continued to work with Smith and Benson and their 1970 Blue Note release – Lonnie Smith Live At Detroit’s Club Mozambique - can be recommended (CDP 7243 8 31880 2 4). In the early ‘70s he began an association with Aretha Franklin and her musical director the soul tenor giant - King Curtis. He also had a close musical relationship with Eddie Palmieri which inspired a love of Latin music that was to become such a hallmark of his performances in later years. This was a period when Disco was King and Ronnie who also played bass clarinet and flute was often working seven hours a day in the New York studios. Achieving a first-call status he became such an important part of the recording scene there that he was voted the Most Valuable Player by the Academy of Recording Arts & Sciences (NARAS) from 1979 to 1986. In 1976 he recorded his first album as a leader – Cubre Libre – on the Xanadu label (No.135). It has never been reissued on CD but it is a stunning debut heralding the arrival of a major new performer with fresh looks at Star Eyes, Misty an atmospheric Tin Tin Deo and especially Kenny Dorham’s Prince Albert. The latter with its patented Bird of Paradise introduction is based on All The Things You Are and together with Lennie Tristano’s Ablution is probably the finest of all the originals inspired by Jerome Kern’s classic. 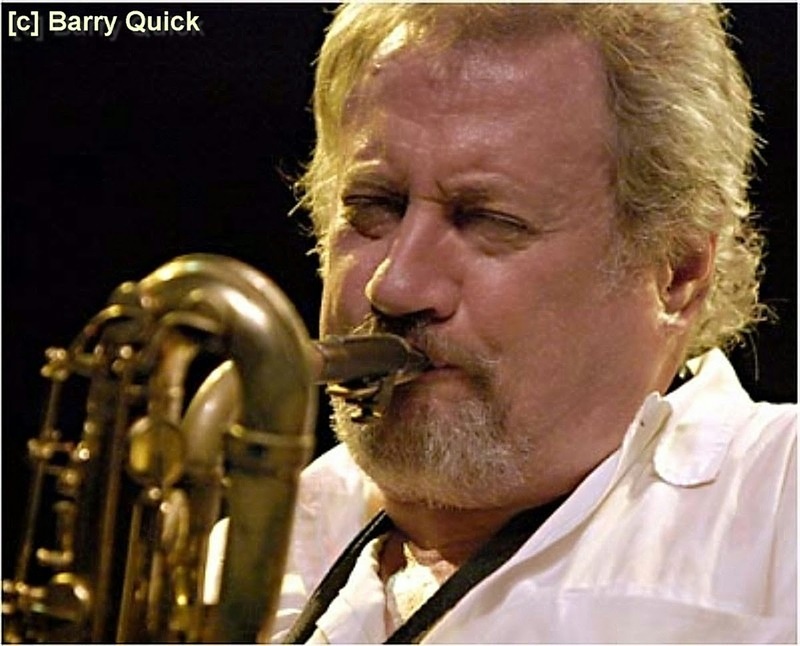 He was a member of Lee Konitz’s cerebral nonet regularly working with them at Stryker’s, the Half Note and the Village Vanguard and after the leader he is the most heavily featured soloist on The Lee Konitz Nonet (Chiaroscuro CRD 186),Yes, Yes, Nonet (SteepleChase SCCD-31119) and Live At Laren (Soul Note 121069-2). In the early ‘80s he began working on the Saturday Night Live Show recording with the band in 1986 for the Projazz label (CDJ 621). 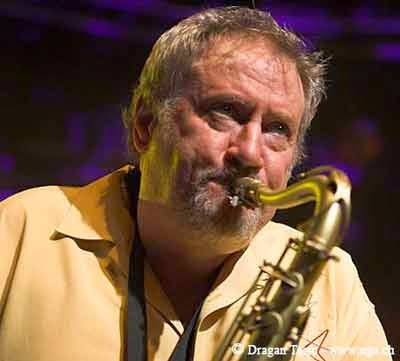 His baritone gifts continued to be very much in demand on sessions with Carly Simon, Steely Dan, Paul Simon, Eric Clapton, Billy Joel and Frank Zappa. He excelled whatever the environment but always as a self-proclaimed “bebopper at heart”. The ‘90s was when he began a series of recordings as a leader beginning with Cubism for Fresh Sound in 1991 (FSR-CD188). The line-up features Joe Locke (vibes), Bobby Broom (guitar), Michael Formanek (bass) and Ben Perowsky (drums) who had all worked with Cuber at Birdland. The wide ranging repertoire reflects the many moods of this fascinating album - exotic Afro- Cuban rhythms on Arroz Con Pollo and Barra-Cuber; straight- ahead blowing on I Ronic (Cuber on a borrowed tenor); a James Brown R’n’B feel on Cheetah and finally the sensuous rhumba setting of Ponta Grossa – one of Cuber’s most arresting originals and worthy of something Johnny Mandel might have written. His next session in 1993 – The Scene Is Clean - is essentially a Latin date with either Manolo Badrena or Milton Cardona added on percussion to a four man rhythm section. The title track by Tadd Dameron was introduced by Lucky Thompson in 1953 but Clifford Brown recorded the definitive version with Max Roach in 1956. Through the miracle of over-dubbing we also hear Ronnie’s alto on Clean and Fajardo which he plays with the elegance of a Benny Carter or Herb Geller. He also revisits Flamingo – Earl Bostic’s big 1953 hit which is a perfect vehicle for his rugged baritone sound (Milestone MCD -9218-2). Two years later he was again in the studio for one of his finest recordings – In A New York Minute (SteepleChase SCCD 31372). The piano, bass, drum accompaniment is the ideal setting for Cuber especially when the pianist is the admirable Kenny Drew Jnr. Kenny who often worked with him has an especially brisk work-out on Dig based on that old war-horse Sweet Georgia Brown which he concludes with a chorus in octaves. New York Minute is one of several highlights. Based on a simple eight bar descending sequence repeated throughout its six minute duration, it develops an irresistible feeling of exquisite tension. The well named Con Passion has all the dramatic intensity of an operatic aria allowing Ronnie to demonstrate his amazing facility and powerful sound in the altissimo register. He began a long association with Charles Mingus’ music in the early ‘90s when he appeared on The Mingus Big Band ’93 CD (Dreyfus FDM 36559-2). His arrangement of Nostalgia In Times Square aka Strollin’ Honies begins with his own hip, Jack Kerouac-style monologue describing how he first sat in with Mingus at Birdland as a youngster. Moanin’ opens with his baritone in the role of a gospel preacher at a revival meeting with vocal encouragement from the band, before he launches forth on that unforgettable theme. Performances like these are surely what tenor man John Stubblefield had in mind when he said, “(Ronnie’s) a pit bull when he and that horn connect”. In 1996 he was featured with a group of all-stars on Horace Silver’s Hardbop Grandpop CD (Impulse! IMP11922). Any recording featuring ten new Silver compositions has to be an event and this date was one of the finest from that era. Four horns - Claudio Roditi, Steve Turre, Michael Brecker and Cuber - create a big sound in the tightly written ensembles and Cuber has several outstanding solo spots on The Hippest Cat In Hollywood, Gratitude, Hardbop Grandpop (our old friend Indiana in disguise), The Lady From Johannesburg, Serenade To A Teakettle and Diggin’ For Dexter. His memorable set with the Netherlands Metropole Orchestra is a personal favourite. Arrangers Rob Pronk, Jerry Van Rooyen and Jan Wessels have written sympathetic charts for the soloist with creative use of strings and woodwinds. It is an unusual setting for Cuber that works perfectly on a repertoire of songbook classics not usually associated with him like Brazil, Love For Sale, The Song Is You, I’ll Remember April and Speak Low. Incidentally, the sleeve note confusingly hints at two recording sessions eight years apart but Tom Lord opts for 1998 alone (Koch Jazz 3-6914-2). His 2009 quartet date features Helen Sung (piano), Boris Kozlov (bass) and Jonathan Blake (drums) – all colleagues from the Mingus Big Band. It is an informal set including staples from the fifties like The Duke, Daahoud and Four (the latter rightly credited to Eddie Vinson and not Miles Davis) as well as a couple of fine Michel Legrand standards. There is also an amazing version of All The Things You Are which storms along at over 80 bars to the minute – probably not what Jerome Kern had in mind when he wrote it for the show Very Warm For May back in 1939. It is a credit to the artistry of all concerned that creativity is maintained at such a finger-busting tempo (SteepleChase SCCD 31680). Later the same year he was reunited with Steve Gadd at the Voce Restaurant in Scottsdale, Arizona. (Challenge Records CR73326). There is a Ray Charles Let The Good Times Roll feel to this release and although they have recorded together a number of times, these relaxed performances are particularly noteworthy. Cuber is at his most extrovert especially on the opening Watching The River Flow by Bob Dylan. 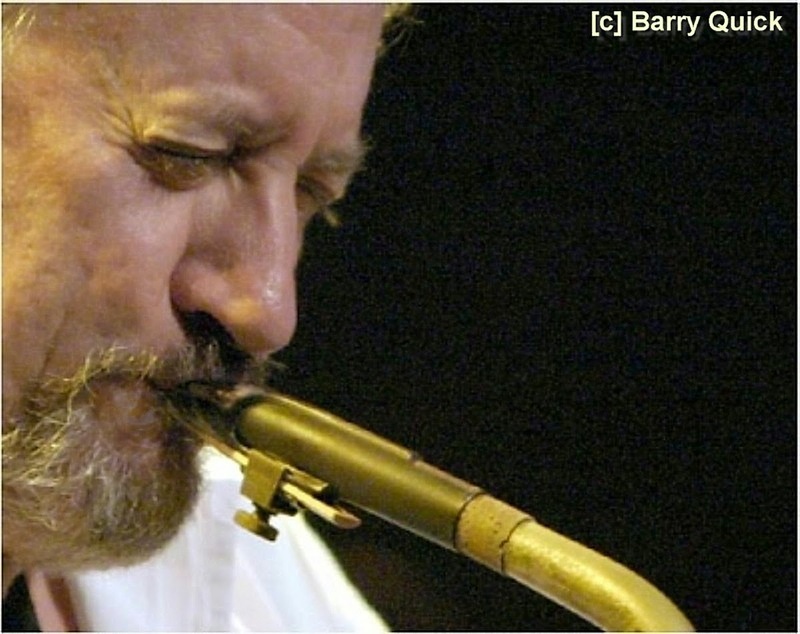 He had recorded it with Gadd in 1986 and with his huge, indomitable sound he takes his cue from the hard swinging accompaniment for a typically swaggering statement which includes a hint of Sonny Rollins’ Solid - a favourite quote. His uninhibited choruses on Sister Sadie and Back At The Chicken Shack call to mind an earlier baritone master – Leo Parker who is an acknowledged influence. Jimmy Smith’s Chicken Shack of course was popular with British R&B groups in the sixties. I know because I played baritone in one during a long residency at the 100 Club where we played it nightly – sometimes twice nightly. 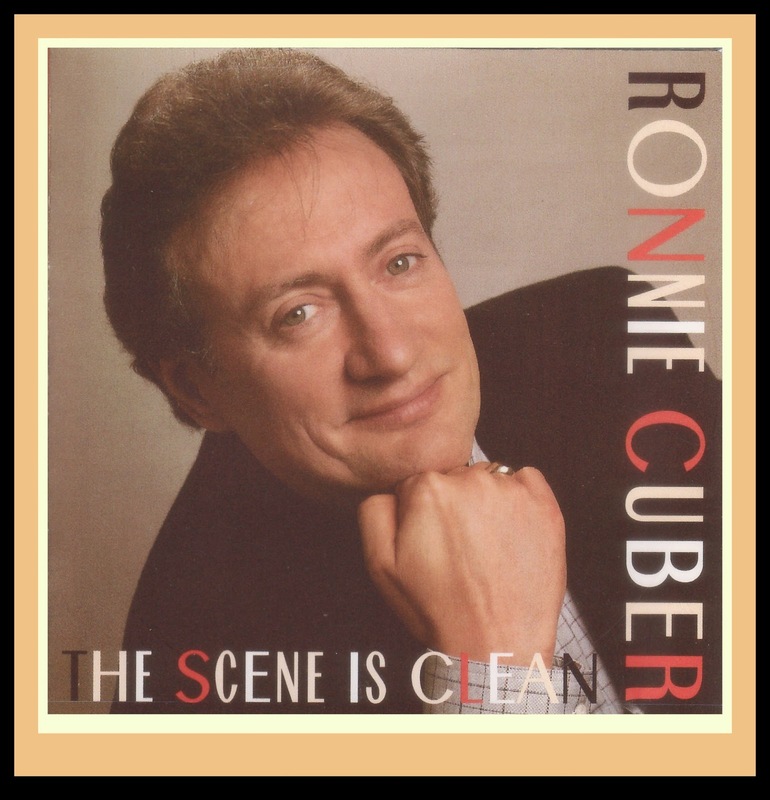 The following video tribute to Ronnie's long-time associate, Ed Palmieri, is set to Ronnie Cuber's interpretation of Eddie Palmieri's Adoración from his The Scene Is Clean CD.